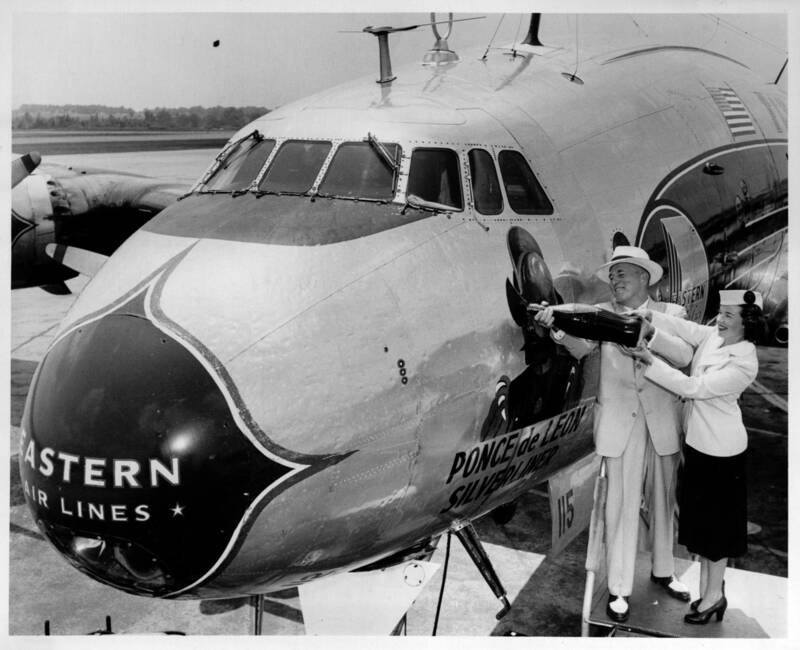 A Constellation named Ponce de Leon is christened with a bottle of Coca-Cola at Hartsfield, 1951. 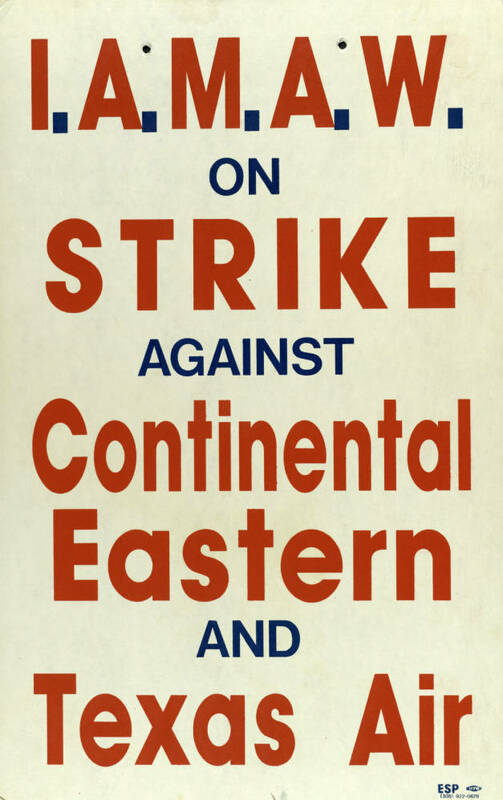 The Southern Labor Archives announces the Eastern Air Lines Digital Collection, unlike any other in the Southern Labor Archives. It represents the work of blue- and white-collar workers, in traditional union and non-union jobs. It provides a look into the history of the airline, its fleet, its operations, its employees, and public perception of the airline in good times and bad. Featuring content from ad agencies, newspaper reporters, labor organizations, Eastern’s management offices, and mediators, the content of the collection includes correspondence, newsclippings, photographs, scrapbooks, press releases, radio ads, television commercials, oral histories, and artifacts. Machinists strike sign against three big carriers. 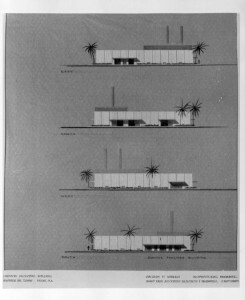 The Digital Collection includes documentation from the following collections; in some cases only selected items from the collection were digitized, in others, the entire collection. photographs, newsletters, destination files, operations information, and a formidable collection of artifacts from Eastern Air Lines. 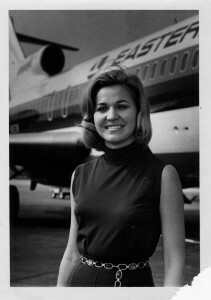 In addition to content in the Eastern Air Lines Digital Collection, Special Collections and Archives also holds materials related to Eastern Air Lines in the Atlanta Journal-Constitution photographic collection, the Lane Brothers photographic collection, and the IAM Publications, among others. We will be adding more content to the Digital Collection over the next year. 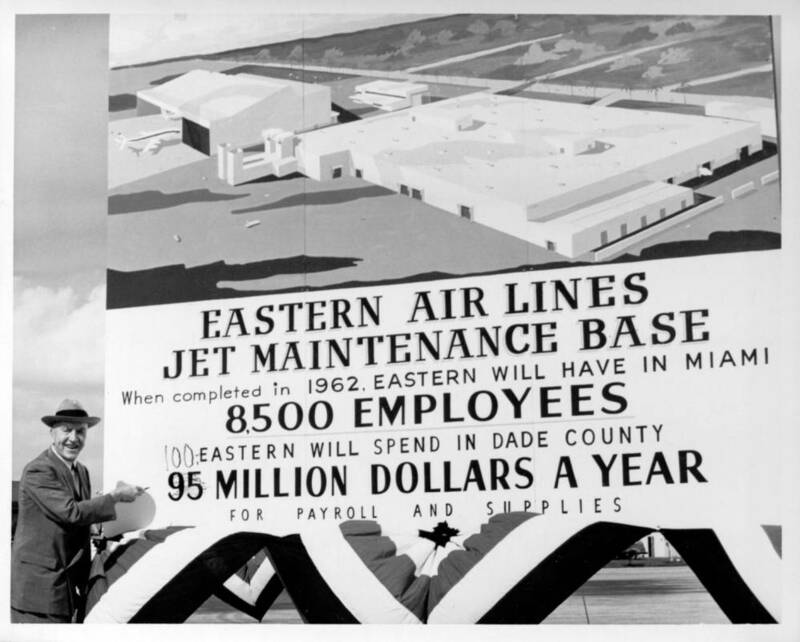 For more information about the Eastern Air Lines Digital Collection, or primary resources related to transportation, aviation, and aerospace, contact the Southern Labor Archives. Special Collections and Archives is located on the 8th floor of Library South and is open Monday-Friday from 9:00am-6:00am (404.413.2880 | archives@gsu.edu). This entry was posted in Business, Communication, Digital Collections, Economics, For Faculty, For Graduate Students, For Students, General News, History, Journalism, Marketing, New Resources, Oral Histories, Primary Resources, Special Collections & Archives, Women's, Gender, and Sexuality Studies. Bookmark the permalink.